Special Needs Room Makeover – Sunshine on a Ranney Day – Georgia – Making Connections. Finding Solutions. WHAT IS SUNSHINE ON A RANNEY DAY? Sunshine on a Ranney Day (SOARD) is a 501(c)(3) nonprofit approved organization based in Roswell, Georgia, founded in 2012 by Peter and Holly Ranney. The vision of Sunshine on a Ranney Day is to renovate homes for children with special needs and restoring hope for families. We are a licensed general contractor that specializes in wheelchair accessible bathrooms, dream bedrooms, in-home therapy rooms and wheelchair ramps/lifts. We take great pride in the quality of our work, professionalism and passion that is put into each makeover. Through our partnerships with local companies and donors we are able to offer our makeovers to families at no cost. Q: How long has Sunshine on a Ranney Day been around? 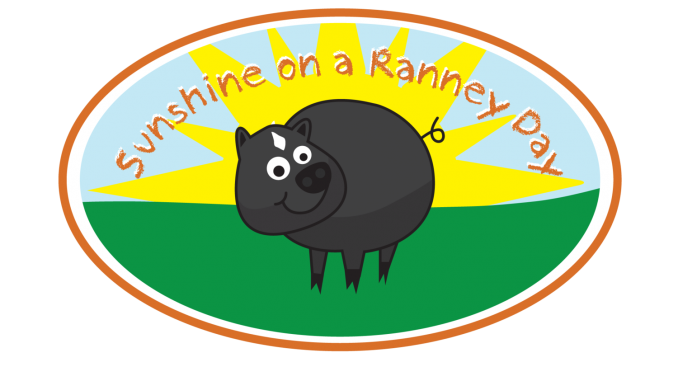 A: Sunshine on a Ranney Day, a kid’s charity in Roswell, GA, was formed in February of 2012 by Peter and Holly Ranney. The first makeover was completed July 2012 for a child named Mathew. Q: How are the kids chosen? A: SOARD accepts applications year round. All applications are reviewed and chosen by a Review Board. Q: Who designs the rooms? A: SOARD determines the functional layout after discussing the child’s needs with the family. From there SOARD will work with professional designers who volunteer their time and talent to help formulate the design. Q: Who does the work on the makeovers? A: SOARD has a dedicated team of subcontractors who perform the work on the makeovers. Any work related to electrical, plumbing or HVAC are done by licensed professionals. Q: Where is the charity located? A: The Atlanta charity was founded in Roswell, GA and it’s day-to-day operations are in Roswell, GA.
Q: What area does the charity serve? Q: Do you have plans to enter into other states? A: Currently we are focusing our charity efforts in the Atlanta area. Peter and Holly as well as the Board of Directors are exploring expansion. Q: What is the age range of the children that you help? Q: What is the meaning behind the logo? A: The centerpiece of the logo is Gracie the pig. Gracie was a wedding present that Peter gave to Holly before their wedding in Santorini Greece. The saying “Everything will be Ok” is meant to give encouragement and focus on the positive side of the daily struggles our kids face.